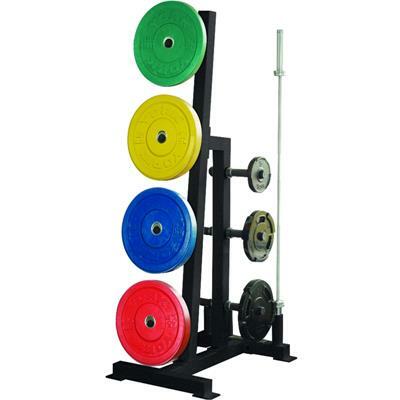 Front side of tree features four weight storage pegs to accommodate Elite Competition Bumpers, Solid Rubber Bumpers, Bumper Grip Plates, and any 45 lbs plates. 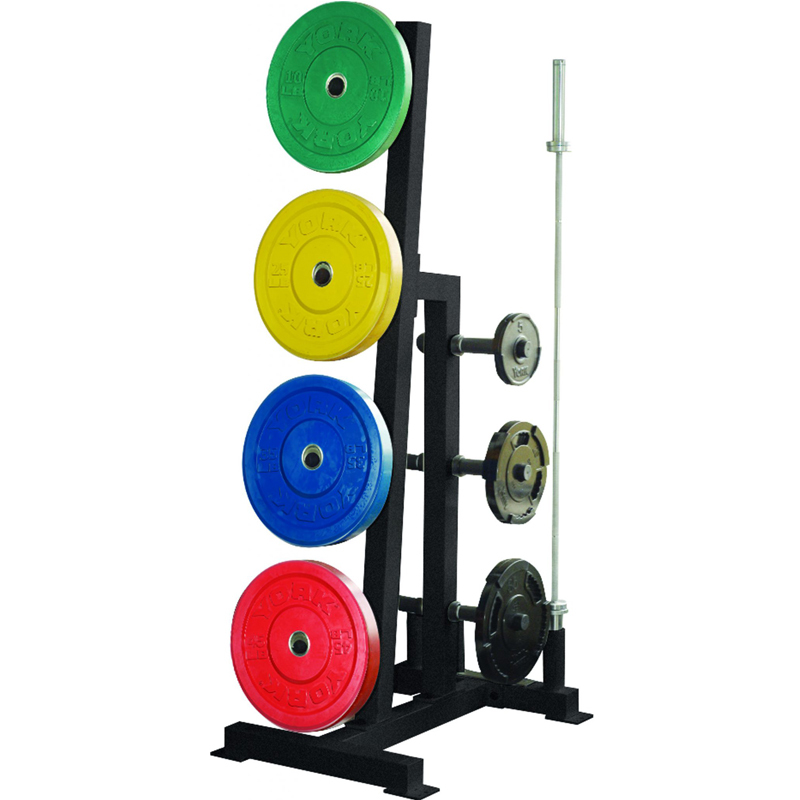 Six additional plate storage pegs are located behind the front side of the tree; two more pegs for Olympic Plates, 45 lbs or 100 lbs plates, and four more pegs for smaller increments. Vertical bar storage for two Olympic Bars and two vertical pegs for collar storage. Weights and bars sold separately. Holds a 5 to 75 lb. run of Iron Hex dumbbells. Heavy Duty, Light Commercial rack designed for hex dumbbells.